One of the most exciting times that a small business owner will have is moving from a home based office to an actual brick and mortar location. With all of the many office space options it can be a bit difficult to choose the right one. For a first time renter, avoiding common mistakes made while searching for an executive office should be a top priority. The only way to avoid mistakes is by doing your homework to find out exactly what it is you need and how to best attain it. The following are a few of the most common mistakes that are made and how you can steer clear of them. One of the biggest mistakes that most new small business owners make when renting an executive office is not having a plan for moving. Before you ever look at the first prospective office, you need to have a plan in the works on how you will get your operation moved smoothly. By having a plan, you will be able to avoid extended periods of downtime and other variables that may hurt your business. When trying to get the best possible office space, you need to make sure that you are reading the fine print on the rental agreement. You need to go over this document and look for any hidden fees that may cost you in the long run. The more you are able to find out about what you are getting into, the easier it will be for you to adequately budget yourself. The last thing that you want to do is to go into a rental situation blindly due to the negative affects it can have on your business. 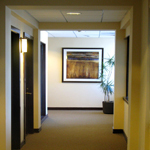 When in the market for an executive office, the only place to go is Newton Executive Office Center. This entry was posted in Blog, Office space by admin. Bookmark the permalink.